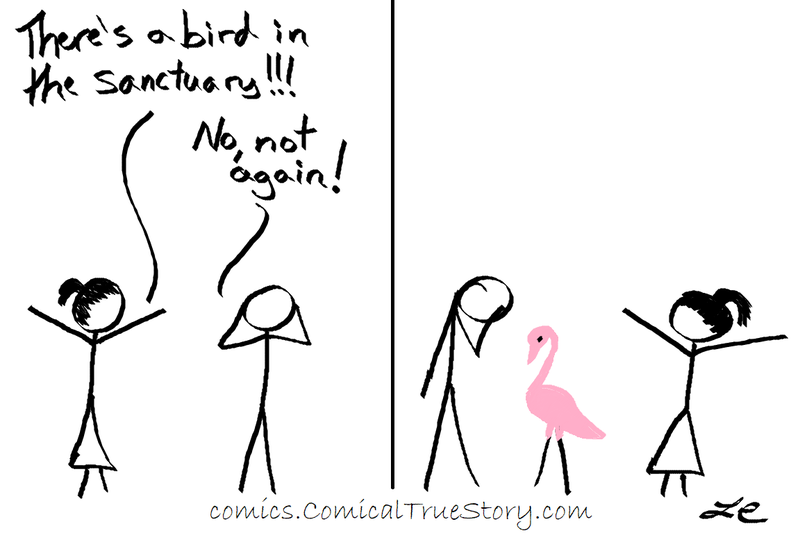 I realized after writing that I didn't specify - the location is a church sanctuary, not a bird sanctuary. 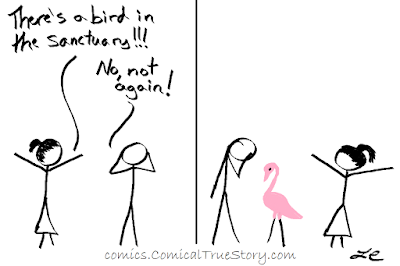 This comic is inspired by a true story - our church had on two occasions a bird intruder. I believe the one that was on a Sunday morning was able to be safely removed. The other one got in somehow without anyone noticing so the first people on a Wednesday walked in to see what looked like white paint splattered all over the lobby and then there was a search for the bird body... So after these events I considered doing the above but didn't. Didn't want to stress out people. L: There's a bird in the sanctuary!